In addition to the active and vibrant lifestyle within The Canoe Club, even more can be found just around the corner. 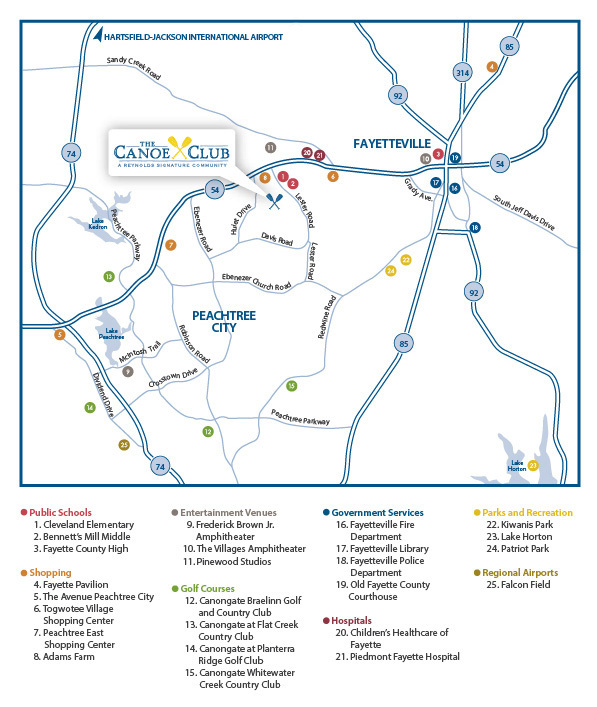 The Canoe Club is just a mile fromPiedmont-Fayette Hospital – one of the top 100 hospitals in the U.S. Downtown Fayetteville, full of small-town charm, is only five miles away. And seven miles to the west is The Avenue Peachtree City, filled with a wide array of shops, restaurants and boutiques. 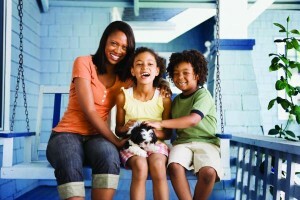 Download a local area points of interest map. Children living in The Canoe Club will attend Fayette County schools, one of the highest ranked school systems in the state of Georgia. The community is within easy walking distance to Cleveland Elementary and Bennett’s Mill Middle School, which were recently recognized by the Governor’s Office of Student Achievement. Come Experience life at The Canoe Club conventionally located in Fayetteville on Huiet Drive off of Ga Hwy 54, minutes from Pinewood Studios. Pinewood Studios is a full service film and entertainment studio complex comprised of five sound stages in 288 acres in Fayetteville. GA, minutes from the Canoe Club.